No two marriages are the same and it follows that no two divorces will be the same either. Resolving financial matters by making an application to the court may not be the best route for every couple facing divorce. For some, alternative dispute resoluti on methods such as mediation, collaborative law and arbitration offer quicker and often more cost effective solutions. Many people find these alternative methods to be a more positive experience which enables them to preserve their ability to communicate with each other in the future. This is especially important where there are children of the marriage to be considered. Mediation is a flexible, voluntary and confidential process which involves both parties attending a series of meetings with a neutral third party. The professionally trained mediator will impartially assist the parties in working towards a negotiated settlement to their dispute. Before and after such sessions the parties will be able to take legal advice and discuss with their solicitors the implications of any proposals made. Any agreement reached at mediation should then be taken to a solicitor and recorded in a legally binding agreement called a consent order. Parties can go into mediation at any time throughout the process: before separating, during negotiations or even at an advanced stage of litigation to determine a specific issue. As with collaborative law discussed below, this form of dispute resolution offers a confidential and often less confrontational environment which encourages the parties to reach an amicable and fair agreement with which they can both live. Collaborative law involves the parties each instructing their own solicitor with whom they will attend a series of four-way meetings to try to reach an agreement. 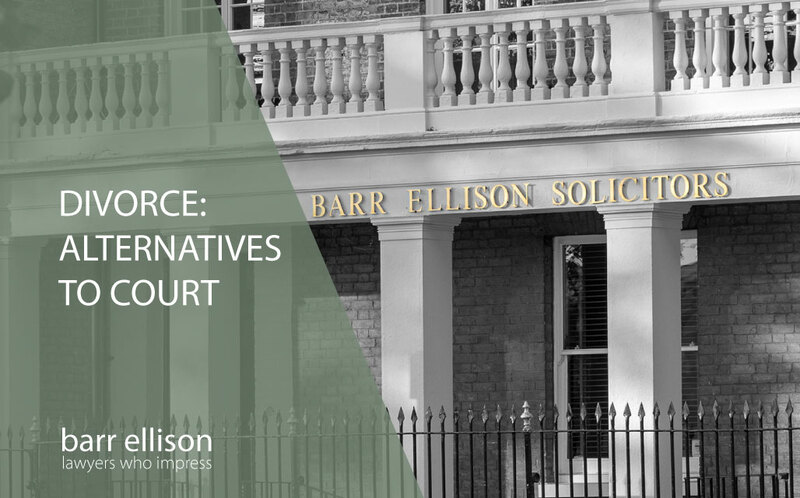 As this process involves face-to-face meetings, collaborative law offers an open environment in which parties can freely voice their wishes or concerns with the added security of having a solicitor present to safeguard their interests. The fact that the parties have their own legal representation does mean that collaborative law can be a more expensive route than mediation. Furthermore, if the process breaks down both parties will be required to instruct new lawyers and so there is a strong incentive for matters to be successfully resolved. Arbitration is a quasi-court method of resolving financial disputes, where a professional arbitrator (usually an experienced family lawyer or judge) is appointed by the parties to make a binding decision. As a result of the time and expense involved in going to court, the popularity of family arbitration is increasing. Family arbitration offers a quicker and often cheaper way of obtaining judgement and is appropriate for those looking for finality of litigation. It offers a structured approach which in many ways mimics the procedure of the courts. A word of warning: a couple using family arbitration have to accept that the decision of the arbitrator is binding. Throughout the mediation and collaborative law processes the parties themselves remain in control, as it is they who will ultimately decide the terms of the settlement. Children are less likely to be caught in the crossfire when divorcing parents are able to resolve matters through non-court methods. These methods offer a flexible way in which the parties can tailor the process to match their needs. For example, the parties will set their own timetable and decide, with advice, what level of financial disclosure is appropriate. The legal process can be quicker and less expensive than traditional litigation if the parties reach agreement. The outcome of the process can be recorded in a binding order of the court. If negotiations fail, the parties will need to start over. This can lead to an overall increase in costs and the time it takes to conclude matters. Mediation is less appropriate in divorces involving complicated financial situations or when there are significant assets. This is primarily because expert valuations and full and frank financial disclosure may be required. Both parties must come to the table with a willingness to work together to resolve the issues. If one or both parties lack such a willingness, the process is unlikely to be successful. If one party struggles to voice their wishes then it could give the more dominant party an advantage. Alternative methods are generally not appropriate where there is a history or threat of domestic violence towards one of the parties or the children of the family. The Family Procedure Rules 2010 place a duty on legal practitioners to consider the appropriateness of alternative dispute resolution methods in each case. Asking the courts to resolve financial matters arising from divorce should therefore be the path of last resort. Avoiding a court battle helps to keep the emotional stress and costs to a minimum. At Barr Ellison we want to make sure our clients have the opportunity to take the route to resolving their issues that best suits them and their family. 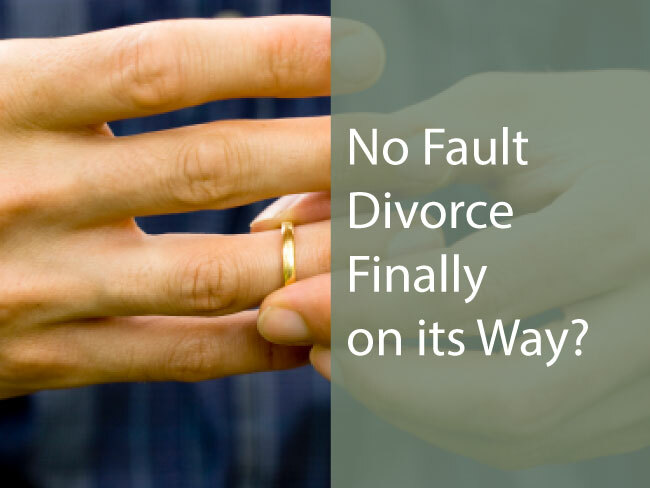 In order to ascertain whether a non-court based method of dispute resolution might be right for you we offer an initial fixed fee meeting to discuss the various options available on divorce. Any wife coming before the court today on a divorce seeking a maintenance order for the rest of her life has a high hurdle to climb. Prenuptial agreements come into play very strongly on second marriages.